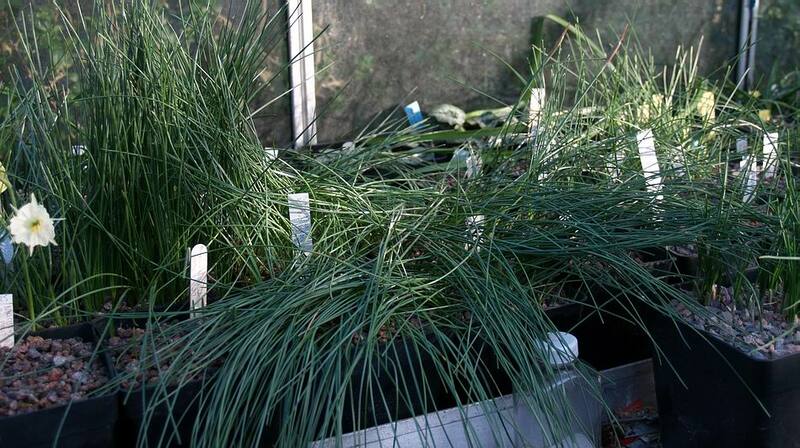 e a better, more compact plant with as many flowers. You will remember that some Logs back I decided to remove a tree - I even gave you the chance to help select the one that should go - well on one of the better days last week I took action and the Cotoneaster has been chopped . 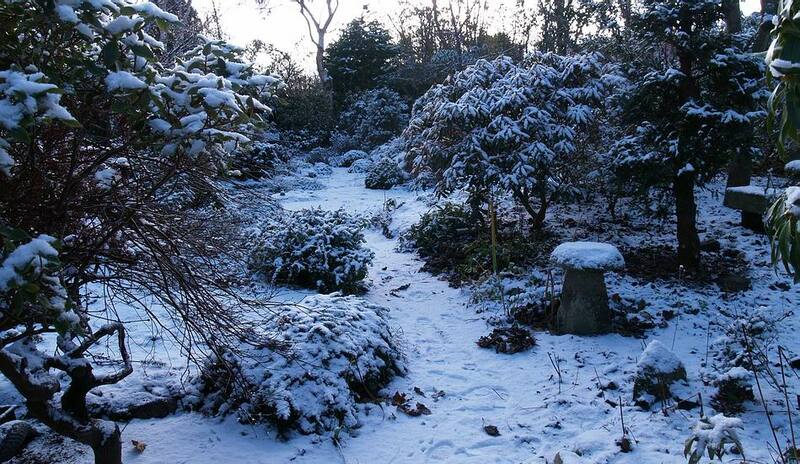 Its removal will allow more light to get to our raised alpine beds again as well as the bulb bed that is all around the base of the tree. 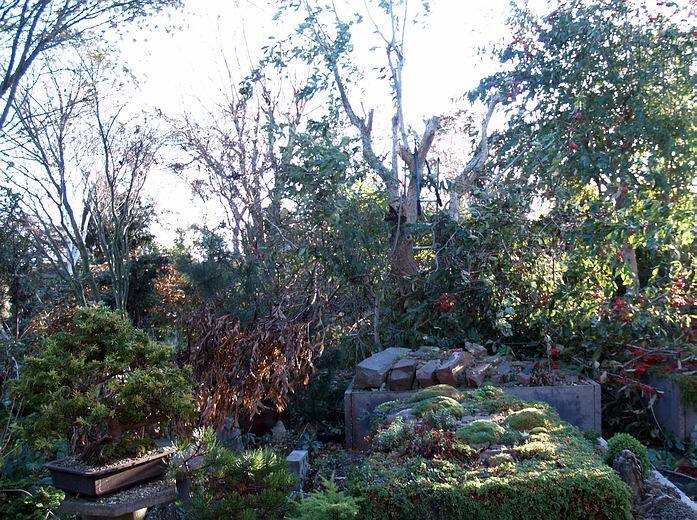 I do not intend to remove the stump just now as the bulbs would not appreciate being disturbed while they are in root so perhaps I will dig it out in the summer. On the mild days some of the bulbs, like these Narcissus, looked decidedly thirsty with their leaves flopping over so I decided to water them. Watering early in the day so that the surplus water has plenty of time to drain away before the night time drop in temperature comes should minimise any risk. 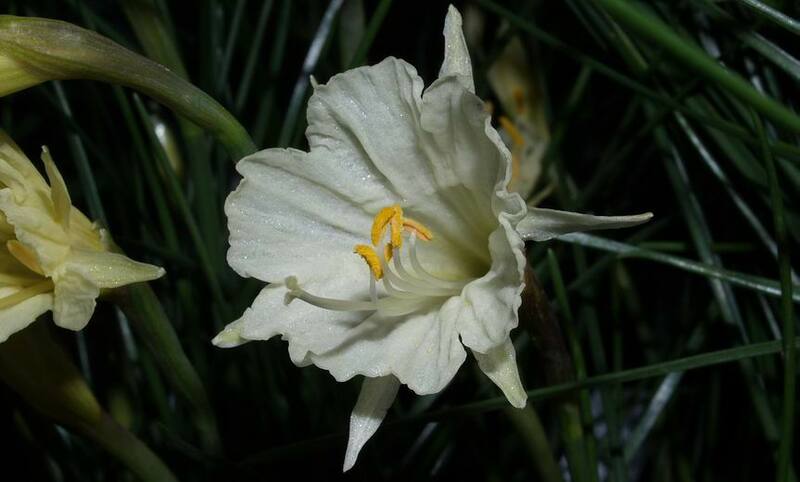 With the swinging temperatures through the winter it is always a challenge to know when to water the bulbs: if they get too dry then they could be damaged but if they are too wet and the temperature suddenly falls below freezing then there is a danger that the cold penetrates the wet compost quicker and may also damage the bulb. 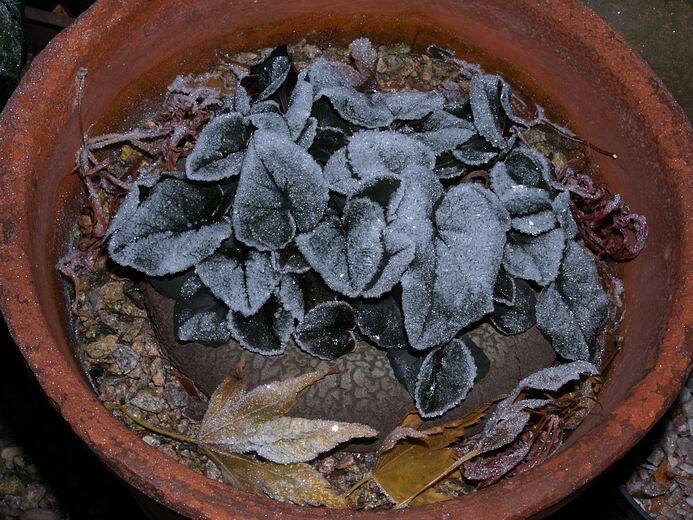 It is just a case of watching the plants and the forecast and although the weather is set to turn colder it is not going to be too severe so I made my decision to water the pots with leaves. 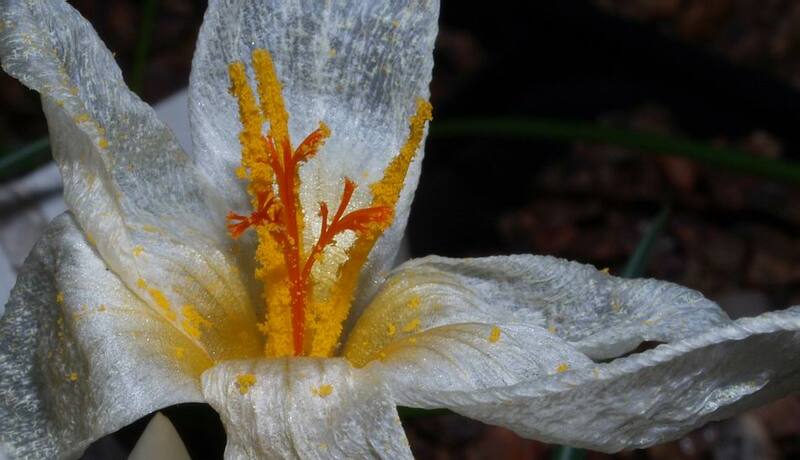 s surrounding the golden pollen laden anthers awaits a pollinator. It is going to have a long wait as there are not going to be any insects around in these cold conditions - it will have to make do with me and my paint brush to transfer some pollen onto the stigma and hope the temperature rises enough to allow the pollen to grow down the tube to the ovary. 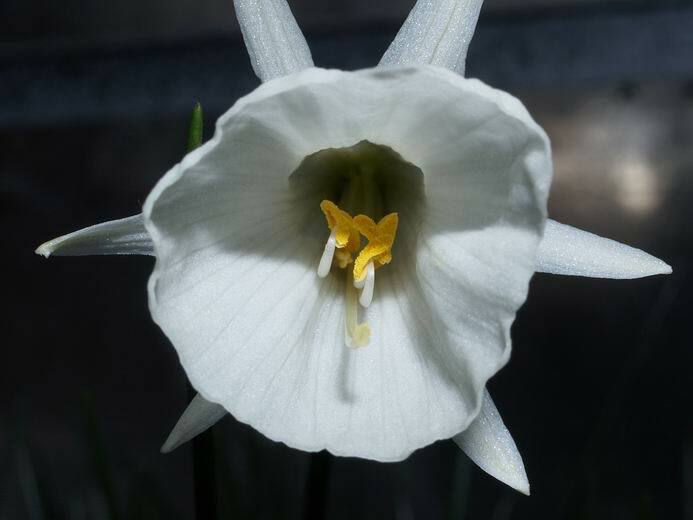 Likewise this Narcissus hybrid flower, one of the flowers in my pot of 'Joan Stead' that I showed last week. I am not sure if I have more than one clone in this pot or if the degree of scalloping in the lobes of the corona is variable as there is some variation between the flowers - I will show more as they open in coming weeks. It is good that the Narcissus are now starting to flower taking over from the Crocus that have been the stars of the bulb house for the last few months but the crocus are not quite finished yet with one or two still hanging on looking good - plus many more of the genus will be back in force in the late winter and into spring. This late form of Crocus niveus has caused me some confusion over the years I have scored out the name on the label and added question marks several times but always seem to arrive back with the original name I got the plant as. 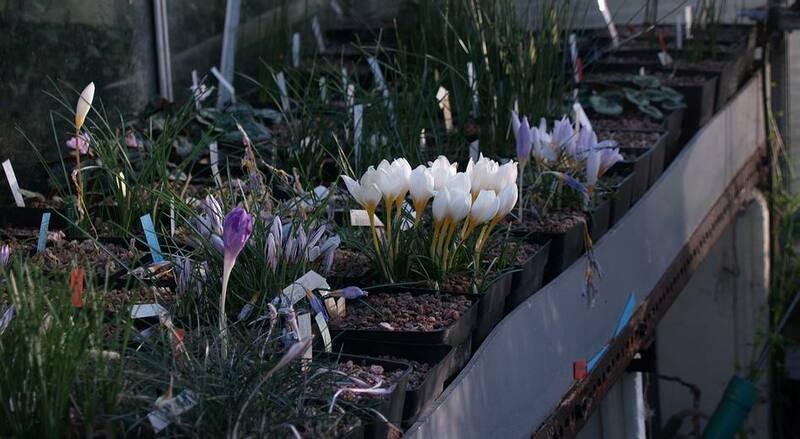 It is not the typical form of C. niveus that we see in cultivation but I am encouraged and reassured by all the excellent posts on the Crocus pages of the Forum where many members have posted pictures of crocus growing in the wild showing the variations that can be seen in wild populations - thank you one and all. Normally we only photograph flowers when they are at their peak but they are still beautiful as the start to wither away. 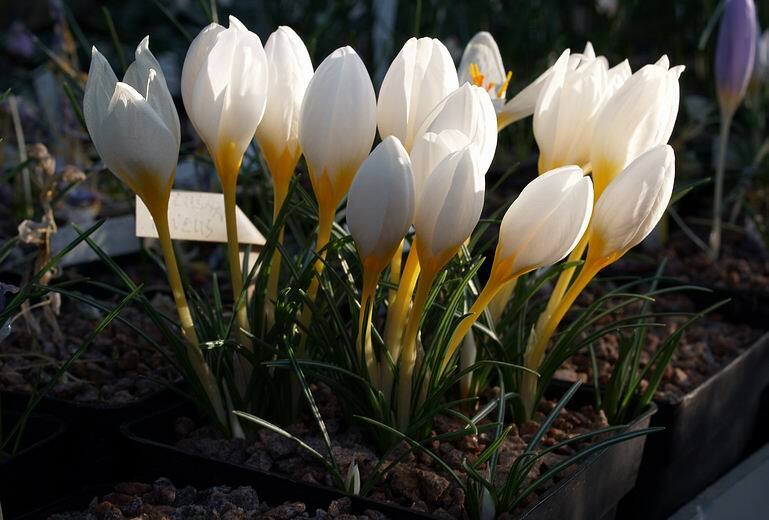 In fact they often reveal another beauty as this pot of Crocus caspius shows a second flush of blooms appear as the first ones are in decline. 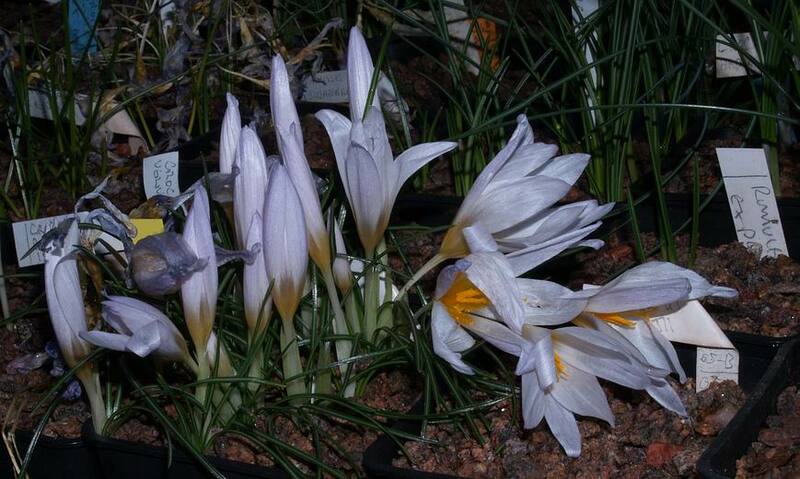 This Crocus laevigatus reveals a beauty as it withers in the cold dark bulb house - notice that the stigma still looks receptive as the floral segments fade. 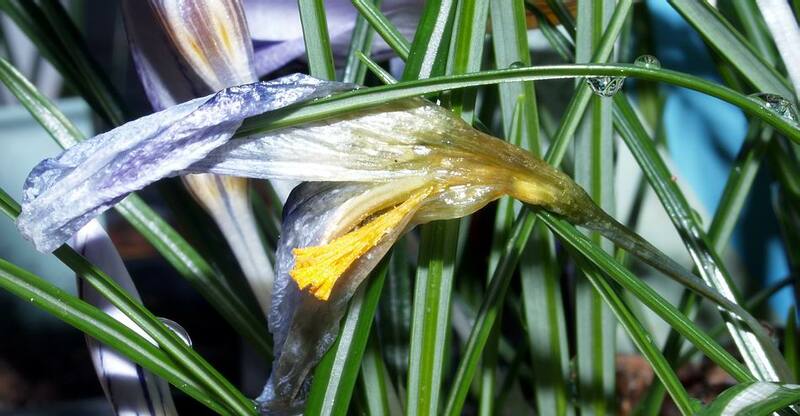 So there is great beauty to be found as the flowers pass like this fading flower on Crocus niveus revealing an almost lace like appearance as parts of the segments loose their pigment and become almost transparent. Back to the weather the heavy snow came and went, we had some severe frosts and some milder days now we have a thin covering of snow and frosts again with the threat of heavy snow falls through Thursday. 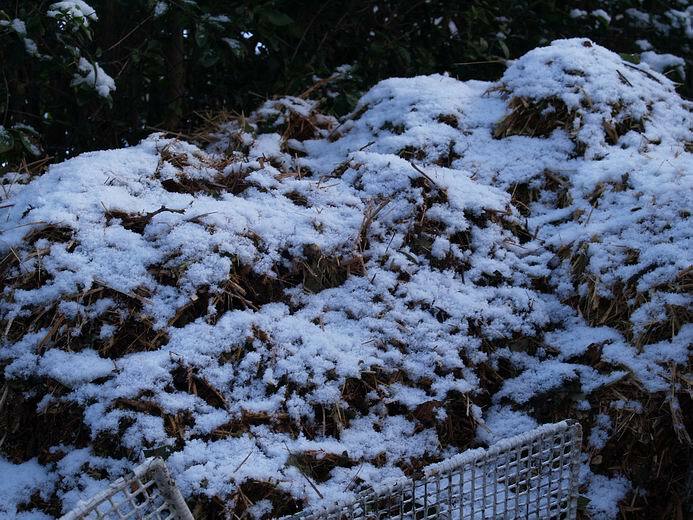 On one of the milder days I managed to shred most of the tree that I cut down and here it is composting before I spread it as a mulch over the Rhododendron beds. 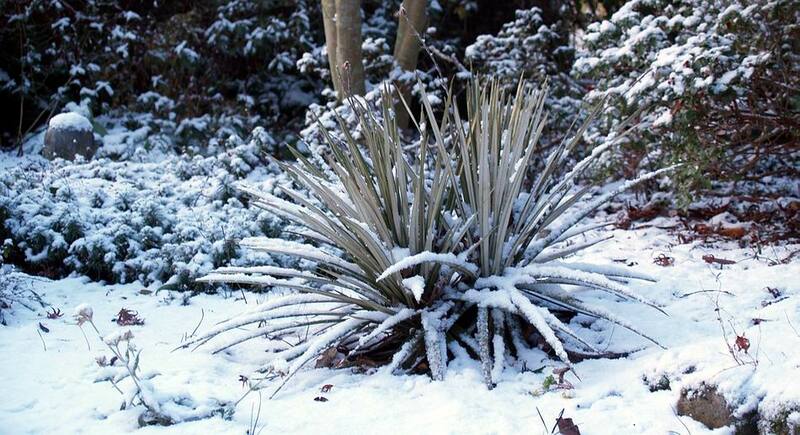 Celmisia armstrongi is one of the many New Zealand plants we grow that give interest all year around providing interesting forms even in the snow. 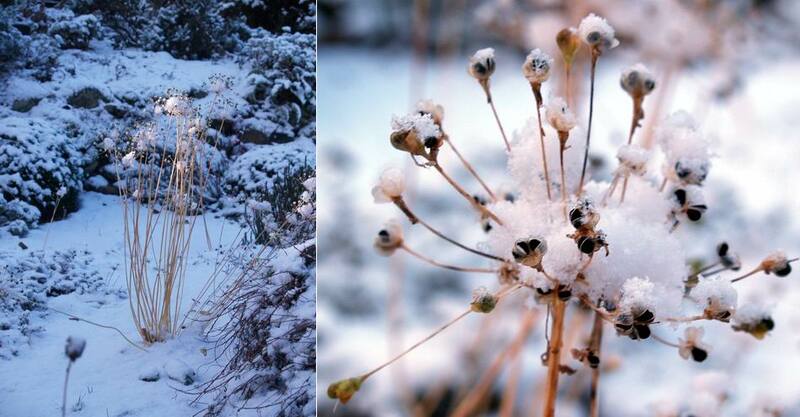 As I looked around the garden to see what bulb was providing interest in the snow, a thin shaft of sunlight lit up these Allium seed heads which shows me how very attractive they look as well as reminding me that I have not collected the seeds yet.